Comparison rates just confuse me! Don’t despair if you find Comparison Rates confusing because your not alone – in fact I think the regulators who made them mandatory failed to understand what they were doing. Thankfully as of last year mortgage brokers are no longer required to provide comparison rates a decision that is something of an admission that they don’t really contribute. comparison rates are based usually on a 25 year loan term – where as most loans only last around 5 years before they are refinanced or changed. As a result one lender with high upfront fees can look artificially competitive because those fees are being amortised over 25 years rather than 5 years. lenders are supposed to include all fees, however what happens when a lender charges their annual $395 package fee onto your credit card account rather than your home loan account…. fixed rates almost always revert to the standard variable interest rate ( a high base rate from which discounts then apply). 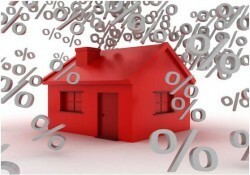 At the end of the fixed rate period the borrower has the choice of fixing again, refinancing or switching – no one in the right mind would simply allow the loan to revert to the full standard variable and that is why fixed rate home loan almost always have very high comparison rates …. best to just ignore them. Well you could make the calculation over a much shorter period and that would help with variable rates but not really for fixed rates. Or you scrap the whole idea and use my ‘cost of loan’ comparison – have a look and I think you will agree that it truly levels the field and provides the most accurate comparison.